At Eastland Trails Apartments, we commit to consistently deliver a superior resident experience. Part of caring for our residents involves soliciting feedback and being transparent about the feedback we receive. Below, you will find reviews from current and former residents. 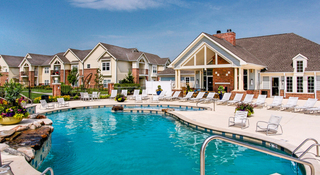 We invite you to browse these reviews and see for yourself why the apartments at Eastland Trails are some of the highest-rated in Independence, MO. We value the voice of our customers. Your feedback not only uncovers areas of opportunity but also reinforces what we are doing right. While we prefer in-person communication where we have failed to “wow” you, we invite you to leave us a review here.